Did not get to the shops today. Actually, I simply did not want to leave the house for various reasons (pure laziness) so this meant by the time dinner came round I had nothing to cook. I could have had oatmeal or an omelette but I really wanted something ‘off-menu’. 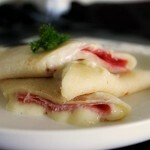 Therefore, this happened …>> Oozy Ham & Cheese Crepes. 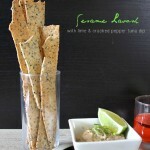 I don’t make too many bread recipes at home, but that doesn’t mean I don’t want to. I tend to be a bit cautious with bread because I question my skills and I hate to get things wrong, but with this Annabel Langbein recipe, bread woes seem to be a thing of the past (for now). 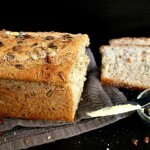 Beautiful wholemeal bread crammed full of seeds and baked to perfection. 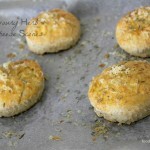 This is the recipe for the herb and cheese scones I used in my Warming Chicken & Ham Stew post. 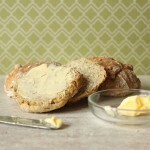 Super light and crumbly, they would go well with any stew or simply eaten on their own with a good slathering of butter. Remember, scones are best eaten fresh out of the oven so keep batches small, and cover scones that are not being eaten with a clean tea towel to keep them warm and fresh. This recipe is the start of my epic food journey through the various states of the North American continent, and what would be more suitable than Johnny Cakes. 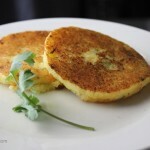 It’s an oldie but a goodie, so stick around and discover what these cornmeal pancakes have to offer. 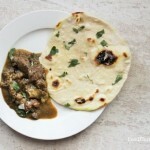 This is a story of how I accidentally made ‘roti’, those delicious Indian flat-breads you get when you order your takeaway. It happened at 10 p.m and we could not be happier with the results. None went in the bin, as culinary mistakes so often do. 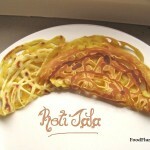 Roti Jala : Malaysian Lace Pancakes. 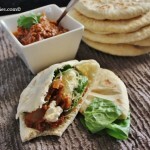 Another yummy Malaysian classic ~ these “pancakes” are traditionally served along side curry. I like to think that these were very popular back in the day, but sadly these days no one makes them anymore. The only time I ever see these would be at weddings, kenduris (Malay neighbourhood banquets) or at certain food stalls during the holy month of Ramadhan. Rather fiddly if you don’t get the consistency right, but soldier on and you will be rewarded. 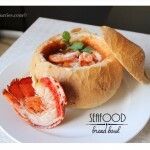 A beautiful warming fish & seafood stew, served in a crusty bread bowl. I have always wanted to serve soup this way … and now I have finally done so … yay, me! This soup can be done with clams and mussles too, if you find it difficult to get hold of lobster.